Known for their tangy, refreshing taste, Cranberries (Vaccinium macrocarpon) were supposedly part of the first Thanksgiving in 1621, but did not become a national tradition until after the Civil War. A small evergreen shrub, which grows in mountain forests and damp bogs from Alaska to Tennessee, the Cranberry bush produces pink or purple flowers in spring and bright red berries in the fall. Cranberries make flavorful jams and preserves and are used in a variety of beverages. 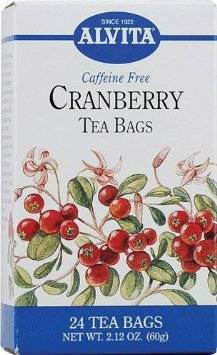 It was 19th-century German chemists who researched and defined many of Cranberry's valuable health benefits.